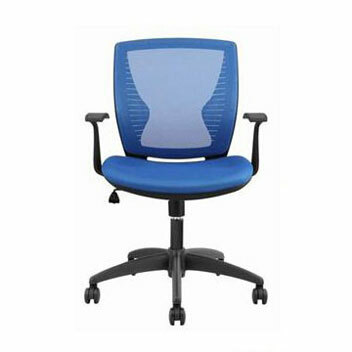 A really comfortable office task chair in the entry level range, with a mesh back and wing support for your back, combined with a moulded foam seat, wing will provide comfort with a trendy look for the modern office and at a modest price. The support and comfort provided by the Delta seating range is second to none and combines maximum ergonomic effectiveness with the durability of AFRDI Level 6 and GECA certification. Standard features include injection moulded contoured back and seat, adjustable gas lift height, back tilt, adjustable back height and a fully ergonomic seat-tilt option.